At Computex 2018 we saw the Gigabyte H261-T60 2U 4-node ThunderX2 system being shown by several companies. We also had the opportunity to catch up with Gopal Hegde, VP and GM, of Cavium’s Data Center group which includes products such as Cavium ThunderX2. 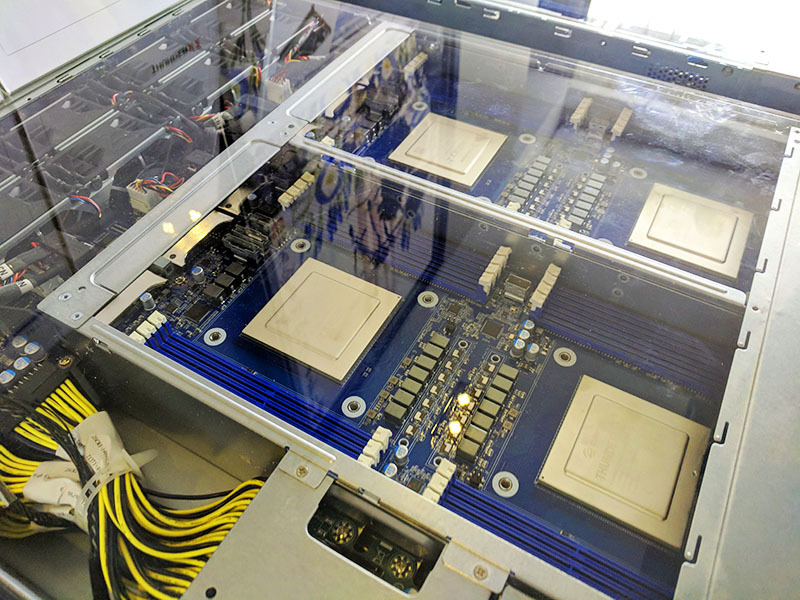 Finally, we capped off the visit getting “ambushed” by a video blogger from armdevices.net and provided some unscripted thoughts about ThunderX2, including our 2U test system from Gigabyte and how it compares to the Intel and AMD offerings in the market. One of the areas that Gopal and I spoke about was some of the upcoming design wins. It is no secret that the Cavium ThunderX2 is seen as a viable HPC competitor. We expect to see several announcements at ISC 2018 in a few weeks. In fact, we already have one announcement written in our content management system. We wanted to focus on the Gigabyte H261-T60 2U 4-node ThunderX2 system we saw in a number of places at the show. 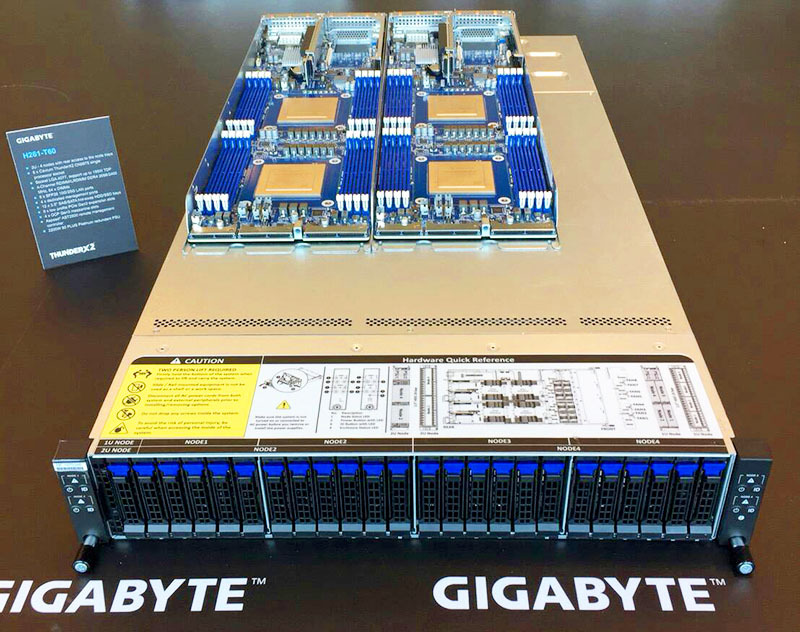 Perhaps the most exciting new system we saw at Computex 2018 with ThunderX2 is a Gigabyte 2U 4-node offering. The H261-T60 allows for up to four dual-processor nodes in a 2U. That means up to 256 cores and 1024 threads per 2U chassis. 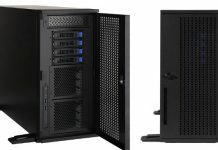 The front of the unit has 24x 2.5″ bays which can be configured as 6 per node for 4-node configurations and 12 per node in 2-node configurations. Here is the system under a plexiglass cover. You can see the two top nodes, redundant 2.2kW power supplies, and redundant fan wall for cooling. The expansion is an area where these servers are strong. The Gigabyte H261-T60 can handle two low profile PCIe cards and an OCP mezzanine card per node. Each node also has dual SFP28 connectors for 10GbE/ 25GbE LAN. As you will notice, the nodes in the floor models are all BGA designs. We asked “why BGA?” and had a great discussion on this. As part of the Cavium ThunderX2 announcement, we heard that the chips would be available both in socketed and in BGA designs. We asked a bit about this and the BGA chips are set to offer significant cost savings at the platform level. By going BGA, the motherboard does not require a socket, which is a cost saving itself. We also were told that by using BGA packaging the motherboard can shed up to 4 PCB layers which amounts to significant cost savings. For large HPC clusters, going BGA can make sense. Above is the BGA version from a Gigabyte H261-T60 while below is the socketed part from our Gigabyte test 2U system. That is an interesting tidbit for those looking to spec ThunderX2 clusters. 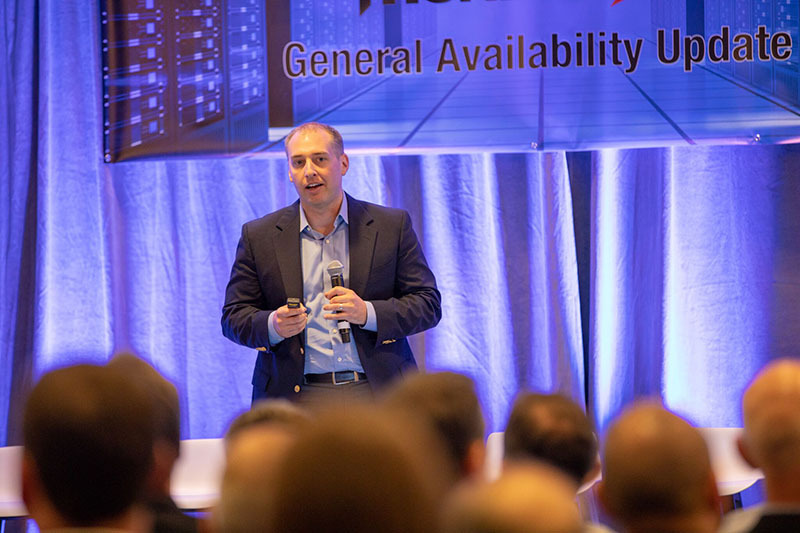 After speaking at the Cavium ThunderX2 General Availability launch event in San Francisco last month, one of the key experiences is that this was a different type of Arm server chip launch. The AMD Opteron A1100 was launched into an ecosystem that was not quite ready. Our summary of the Cavium ThunderX launch was that the ecosystem was still not ready. With ThunderX2, we are seeing a number of major partners line up behind the product. Key here is that the servers are very usable. One point I drive home when talking to folks about ThunderX2 is that two years ago, you had to be willing to get your hands dirty and compile software to use it. Today, ThunderX2 is usable out of the box. While I was at the Cavium suite in Taipei talking to Gopal Hegde, we were approached and did an unscheduled/ unscripted interview for the linuxdevices.net folks. Much of the discussion centered around two key points we covered in our piece: Cavium ThunderX2 Review and Benchmarks a Real Arm Server Option. 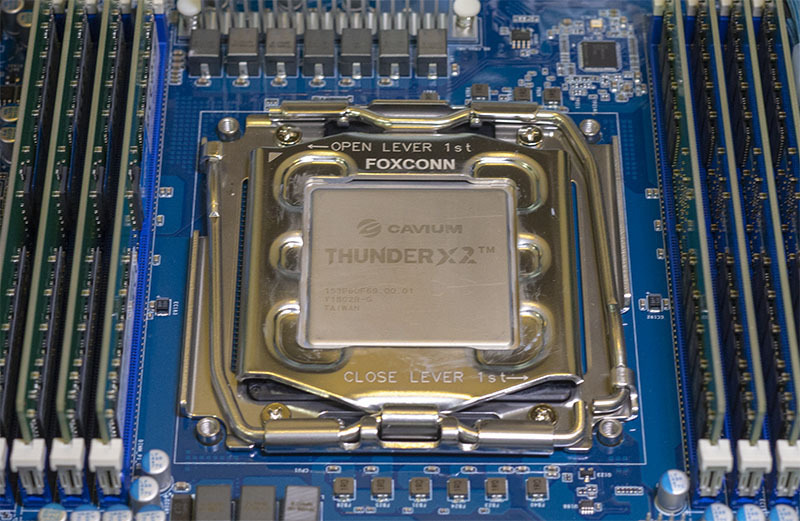 We discussed how the performance of the Cavium ThunderX2 is up to par with the x86 offerings. We also discussed how much the ecosystem and platform has come along in the past two years making it a viable architecture for those looking to expand beyond x86. In our usual kvm virtualization usecase, we can virtualize several cpu types to guests. (qemu32, qemu64, kvm32, kvm64, and all the x86 types) Can this armv8 simulate this or is this a whole new tree of processor architectures? the talk was poor, it was obvious he had no clue. a wasted chance, sorry mate.